Disconnect the front turn signal coupler (1). 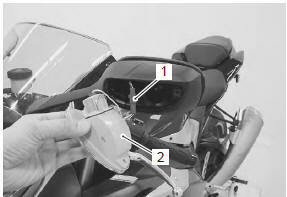 Remove the turn signal light assembly (2). Install the front turn signal light in the reverse order of removal.